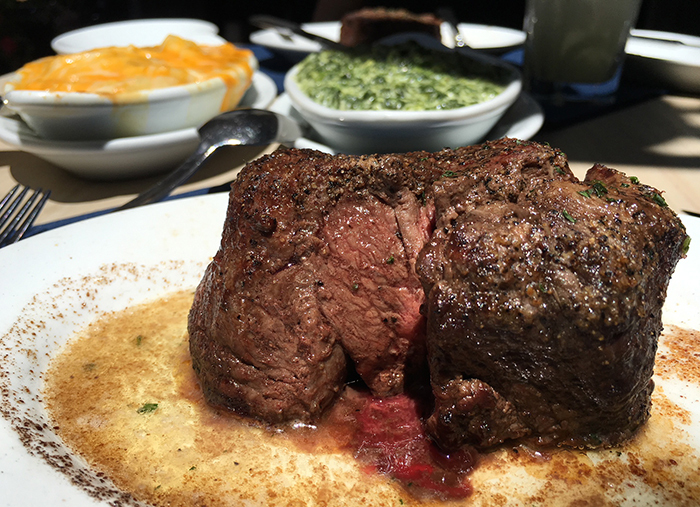 We recently asked our readers for their take on where to get the best steak in town. In no particular order, here are your top picks, as well as the most popular and most expensive steak at each. Menu | 4538 South Boulevard | Monday-Thursday, 5-10 p.m., Friday-Saturday, 5-10:30 p.m., Sunday, 5-9 p.m. 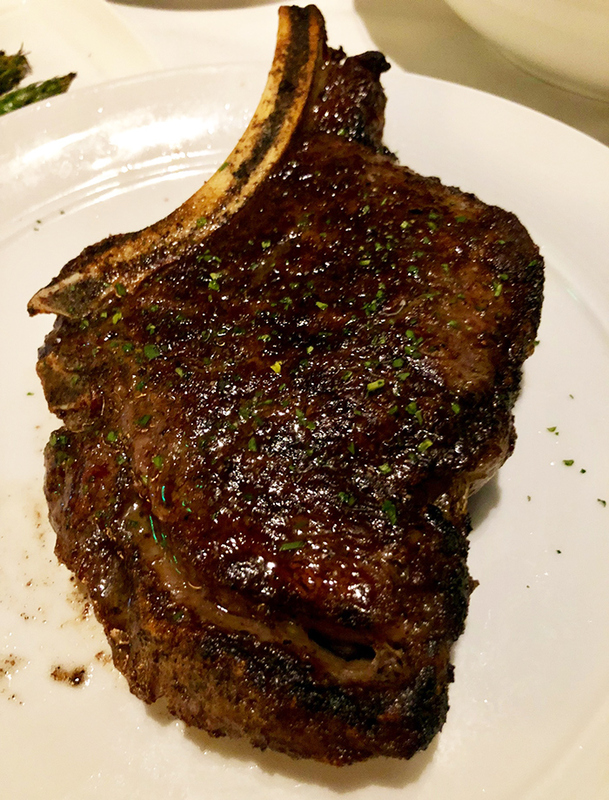 The classic steakhouse – and its perfectly rectangular parking lot – has been a Charlotte staple since 1958, serving up steaks in a low-ceilinged, candle-lit atmosphere that hasn’t changed much at all over the years. Connect on Facebook. Menu | 110 North College Street (inside the Ritz-Carlton) | Monday-Thursday, 7-10:30 a.m., 11:30 a.m.-2 p.m., 5:30-10 p.m., Friday, 7-10:30 a.m., 11:30 a.m.-2 p.m., 5:30-11 p.m., Saturday, 7 a.m.-12 p.m., 5-11 p.m., Sunday, 7 a.m.-2 p.m., 5-9 p.m. The restaurant, located in the bottom of the Ritz, isn’t your average hotel restaurant. 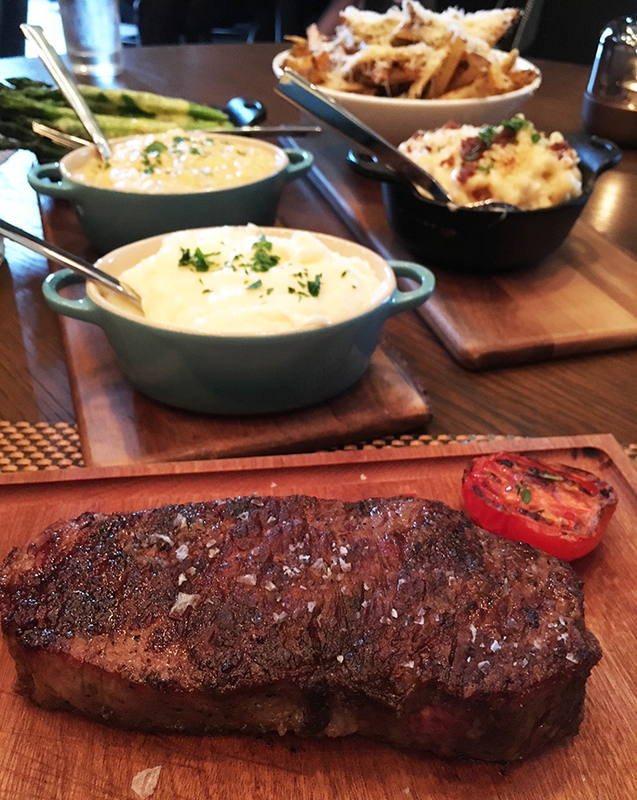 Expect a curated menu of upscale meats and seafood, plus an award-winning wine menu. Connect on Facebook, Twitter and Instagram. Menu | 201 North Tryon Street | Monday-Thursday, 11:30 a.m.-10 p.m., Friday, 11:30 a.m.-11 p.m., Saturday, 5-11 p.m., Sunday, 5-9 p.m. 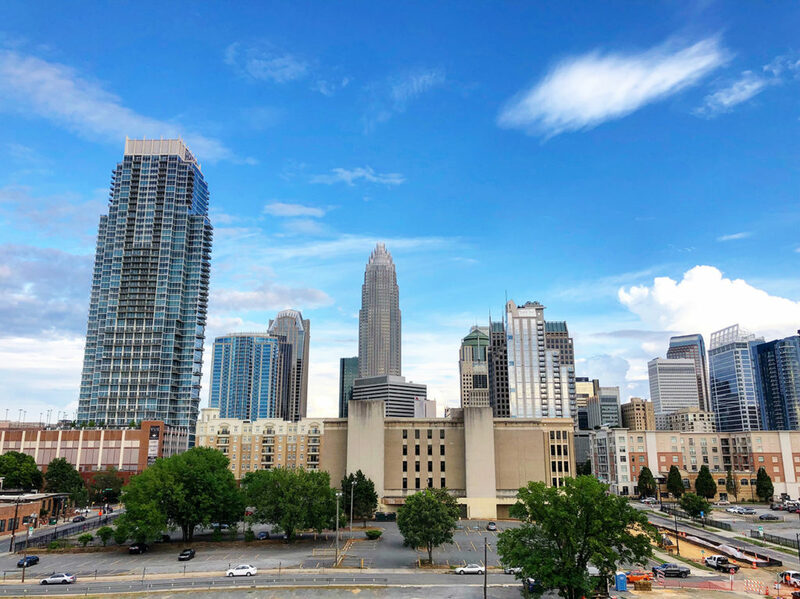 The steakhouse’s prime Uptown location, at the corner of North Tryon and East 5th streets, makes it a go-to for business lunches and date nights alike. 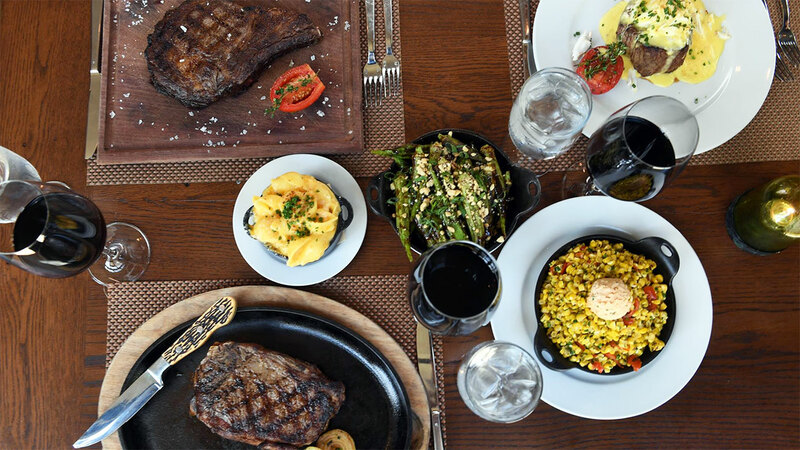 The extensive menu includes 325+ types of wine, which means you’re sure to find the perfect one to pair with your steak. Connect on Facebook, Twitter and Instagram. Menu | 139 South Tryon Street | Monday-Thursday, 5:30-9:30 p.m., Friday, 5:30-10 p.m., Saturday, 5-10 p.m., Sunday, 4-9 p.m. The steakhouse stays true to its Brazilian steakhouse theme and offers all-you-can-eat service. Connect on Facebook, Twitter and Instagram. Menu | 4725 Piedmont Row | Monday-Thursday, 4:30-10 p.m., Friday-Saturday, 4:30-11 p.m., Sunday, 4:30-9 p.m.
SouthPark’s award-winning steakhouse, with a second-story mezzanine bar and private wine cellar, offers 1,200+ types of wine and gorgeous cuts of meat. Connect on Facebook, Twitter and Instagram. Menu | 101 South Tryon Street | Monday-Thursday, 4-10 p.m., Friday-Saturday, 4-11 p.m., Sunday, 4-9 p.m. 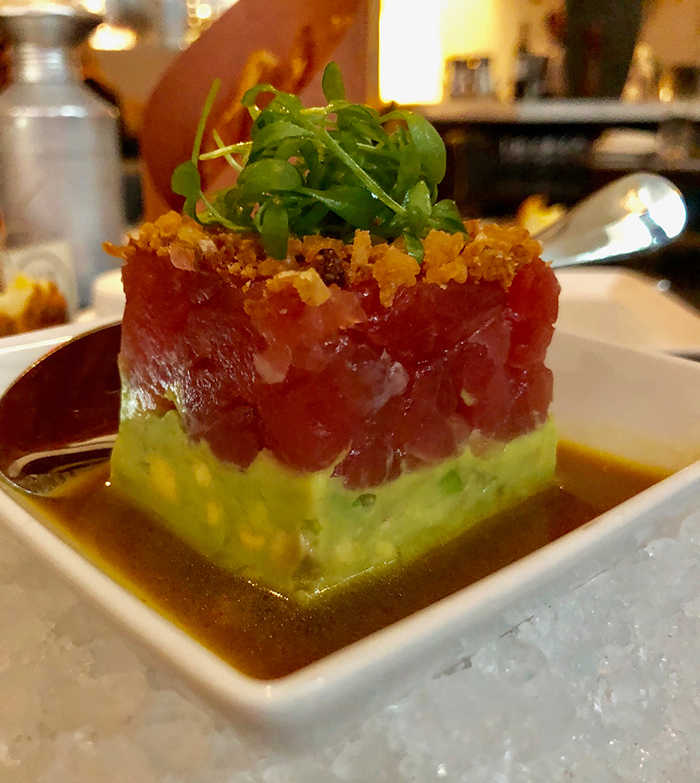 The fine-dining chain finally landed in Charlotte this year and brought along its expansive seafood and steak menu, as well as its staple live jazz. Connect on Facebook, Twitter and Instagram. 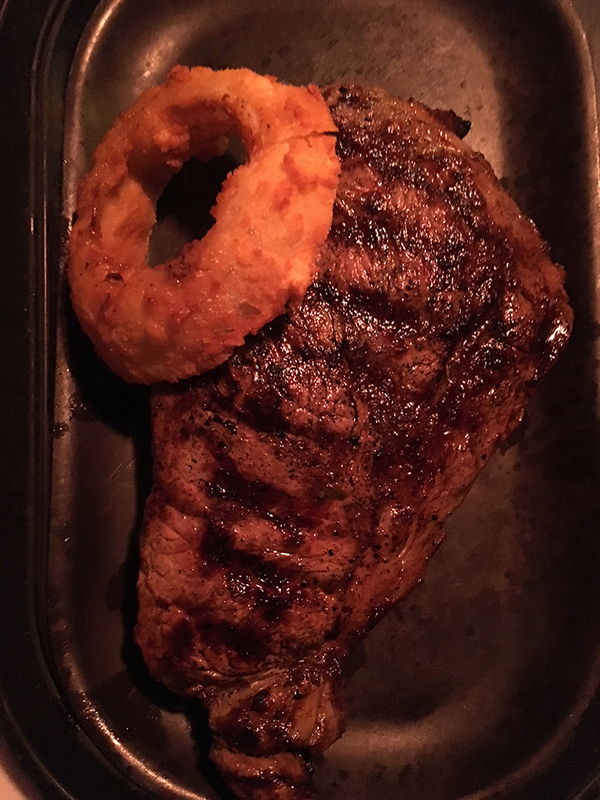 Menu | 210 East Trade Street | Monday-Thursday, 5-10 p.m., Friday-Saturday, 5-11 p.m., Sunday, 4-9 p.m.
Chain steakhouse offering USDA prime beef and an upscale wine menu located in the EpiCentre. Connect on Facebook and Instagram. Menu | 227 West Trade Street | Sunday-Thursday, 5-10 p.m., Friday-Saturday, 5-11 p.m.
A high-end steakhouse located in the heart of Uptown with lunch and happy hour specials. Connect on Facebook, Twitter and Instagram. Menu | 4777 Sharon Road | Monday-Thursday, 5-10 p.m., Friday-Saturday, 5-11 p.m., Sunday, 5-9 p.m.
One of the newer additions to the SouthPark steakhouse crowd, located in the SunTrust Building at Sharon Square. Connect on Facebook, Twitter and Instagram. Menu | 6705-B Phillips Place Court | Monday-Thursday, 11:30 a.m.-10 p.m., Saturday, 5-10 p.m., Sunday, 5-9 p.m. The original power player in what’s become an ever-expanding steak scene in the SouthPark neighborhood. Connect on Facebook, Twitter and Instagram. 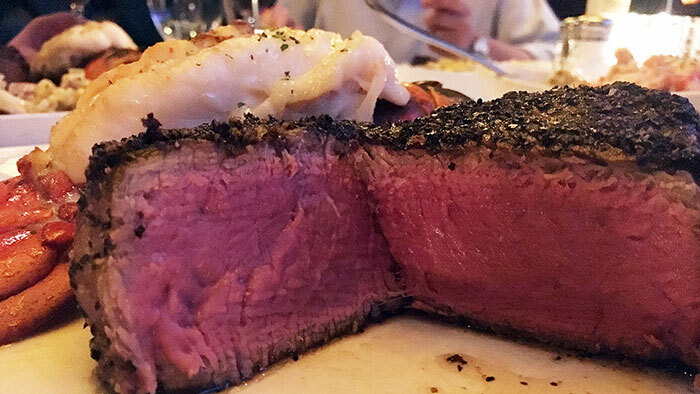 The high-end chain known for serving its steak on a 500-degree plate, has two Charlotte locations, in both SouthPark and Uptown. Connect on Facebook, Twitter and Instagram. Menu | 1928 South Boulevard | Sunday-Wednesday, 4-10 p.m., Thursday-Saturday, 4-11 p.m.
Expect steak, seafood, cocktails and live music at this South End location. Connect on Facebook, Twitter and Instagram. Join the 40,712 smart Charlotteans that receive our daily newsletter. © Charlotte Agenda. All rights reserved.